Jose Adonil Tejada stepped into our office with a quiet smile on his face. It was clear, though, that he had come with a purpose. He had arrived to discuss his loan of a molino, or corn mill, valued at 18,000 lempira. Our goal for the meeting was to talk over his plans and establish a schedule for repayment that would give him enough flexibility to grow his new business at the same time. The most incredible part of working with him was watching his mind work as he outlined his business plan with us. He explained that his clients would come to him with their corn for processing and that his family would then return the produce to them in the form of usable flour. He intends to charge clients one lempira per pound and expects daily revenues of L. 2 per family, thus generating a revenue of about L. 600 each month from it. Martir, one of UMF’s senior field agents, and I alternated between questioning him about how many clients he expected to have, what expenses he would have when running his business, and at what times during the year he expected to generate the greatest amount of revenue from this new endeavor. Don Tejada looked us straight in the eyes and answered all of our questions thoroughly. It was quite clear that he had already thought through many of these details, and our calculations revealed that it would indeed be a profitable business for him. In a society in which the simplest concept of saving money for future investments is still quite obscure, it was immeasurably exciting to hear about his plans and feel confident in his and his family’s ability to not only pay back the loan, but significantly improve their own lives. 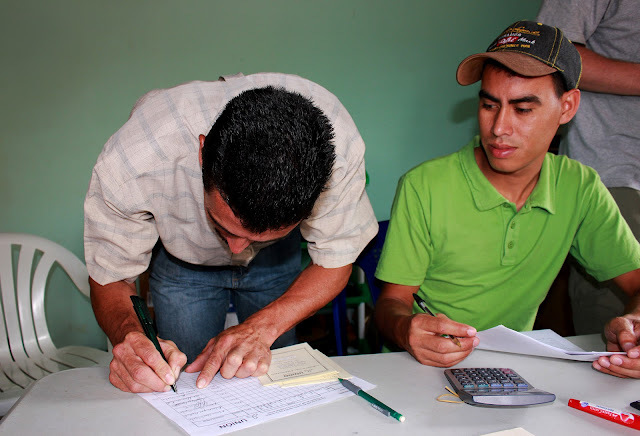 This loan marks an important milestone for Unión MicroFinanza. UMF’s goal has always been to provide the vehicle through which members of La Unión’s community can drive their own sources of livelihood. While fertilizer loans are helpful for farmers, UMF’s dream is for its clients to remain with us for enough years to finally build up enough credit to begin taking out substantial capital loans such as this one. In this way, they will be able to expand their businesses in a way they truly could not have in the past. 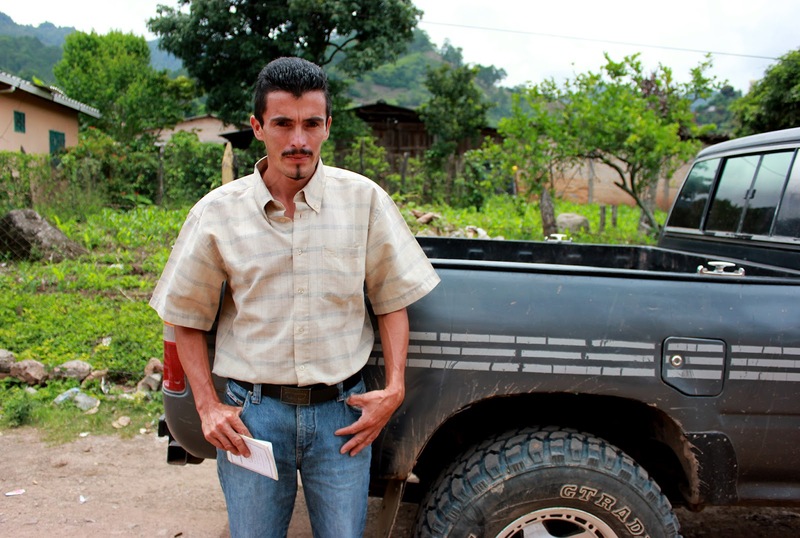 Once Don Tejada pays off his loan for the corn mill, his family will have an entirely new source of revenue—one that will not only bring added security to them, but will also lend itself to increased opportunities for further investments in the future. As more clients begin to take out capital loans for mills, solar dryers, and other processing equipment, we are hopeful that we will be able to observe a significant leap in their businesses and in the communities in general. As an intern, I feel extremely lucky to be working with UMF at this critical moment and look forward to seeing Don Tejada again. My hope is that the next time we meet will be in La Ceibita Centro, at the site of his successful new corn processing business.